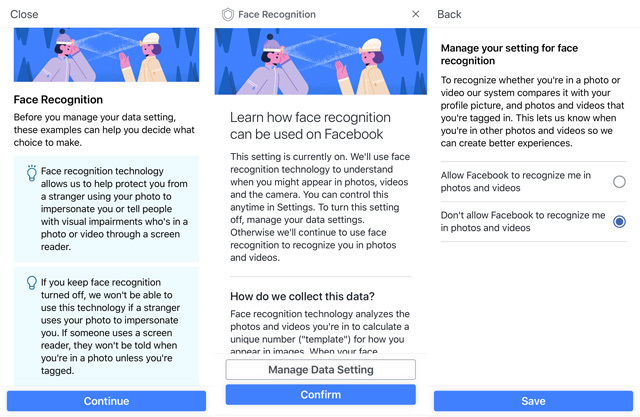 This morning when I logged into Facebook, I was greeted with a message urging me to review my privacy settings for face recognition and personalized ads. It's tempting to quickly swipe through, assuming your settings are as you want them. Don't do that. Take the two minutes to make sure Facebook isn't invading your privacy. It may seem like a no-brainer to turn off face recognition. The convenience of Facebook letting you be quickly and easily tagged in photos and videos doesn't seem to warrant giving Facebook your face. But there is another side to face recognition. You'll also be protected from strangers using your photo as their profile picture. With your face on file, Facebook won't let someone else use a photo of you to set up a profile. And you'll know whenever you appear in photos or videos even haven't been tagged, so you can better track where you're appearing online. 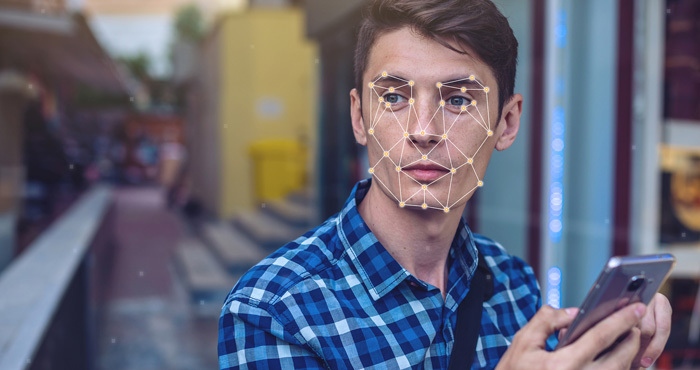 Your choice of whether to turn off or on Face Recognition will depend on where you perceive the greater privacy threat. You're going to see ads. So do you want ads that are targeted to your interests and demographics? Facebook gathers its own data on you based on your likes and information you share. It also includes data from Facebook's partners based on your use of their websites and apps and your offline activities, like purchases. And, Facebook uses data from third-party data providers. Allowing personalized ads means you'll see ads for flights after you visit a travel site or ads for running shoes if you visit a sporting goods site. Turning off personalized ads doesn't prevent data from being collected, just from being used to target ads to you. If you care about the type of ads you see, you can go into Ad Settings and adjust Your Interests and Your Information. You can prevent your relationship status, employer, education level and more from being used, as well as your interests in travel, hobbies, shopping, sports and more. While you're at it, check out our Complete Guide to Facebook Privacy Settings.